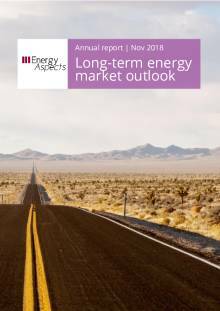 The Long-term energy market outlook report sets out comprehensive views on supply, demand and prices from 2018 to 2040. The report includes particularly detailed forecasts over the next five years, our medium-term outlook horizon. The report is accompanied by detailed data sets, price forecasts for crude oil, oil products and natural gas and a summary presentation to provide a full suite of resources to aid scenario planning and decision-making.